Last week, I had the pleasure of attending the annual CUNA GAC meeting in Washington DC. Amanda Baldwin, one of our credit analysts, also attended with me. We set up a modest booth on the vendor floor as our purpose there was to meet other CU folks from around the country. The trip for us is a busy one and we cannot attend most of the sessions for the conference since we are meeting with folks, even when the sessions are going on. I believe our meetings will prove to be beneficial as we have over three dozen CUs to follow up on with a number of interested issues like agricultural lending, loan participations, writing loan policy, and back office credit union administration support. Several things stand out in my mind from the trip. When you go, be prepared to be exhausted when you get home. The non-stop events do wear you out. Our CUAD leadership for our Dakota CUs is incredible. Events were well thought out and planned. Time that was spent with our senators and representative included concrete examples of proposed legislation and regulatory changes we need to see in order to better serve our members. Big thanks to Amy, Jeff, and Jay. 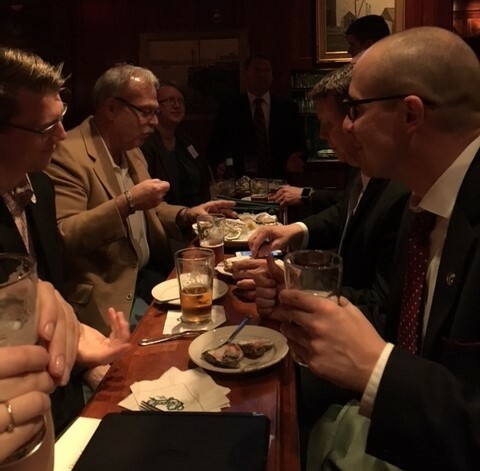 Legal Seafood is some of the best seafood in the world and the fellowship that is found around adult beverages and raw oysters at Clyde’s after the Hill visits is incredible. If you go to DC, you definitely need to go for the famous “De-Brief”. As we sat in the room with our legislators in the Russell Senate Building, I realized that everything we were talking about—reigning in the power of the CFPB, moving 1-4 family properties out of the MBL cap, the Financial Choice Act, tax reform, regulatory relief—are all items that the initial problem was caused by our government in the first place. Sometimes you would expect that we have the best and brightest as our rulers, but this is quite questionable when you see the red tape that emits from Washington along with a $20 trillion federal debt. Washington is a juxtaposition for me. I have a minor in US History and the area offers an incredible amount of history and wonderful storytelling. The place also is home to a large number of wonderful restaurants and I do love to eat. However, the Beltway, seems to be an area that is divorced from the reality of the rest of America. Often when rules are made in these ivory towers, little thought is given to how they will impact the rest of us in flyover country. In spite of all of this, there is an attitude of hope that I have not seen in the previous trips I have made there. There is an attitude that things can and will get better and there is a renewed spirit of optimism, not because of DC, but because of the freedom and liberty unleashed upon the American people. Now is the time to continue to remember your congress folk. It is nice to get in front of them with thousands of other like-minded CU folks. But they need to know that back home they are being supported and watched closely. 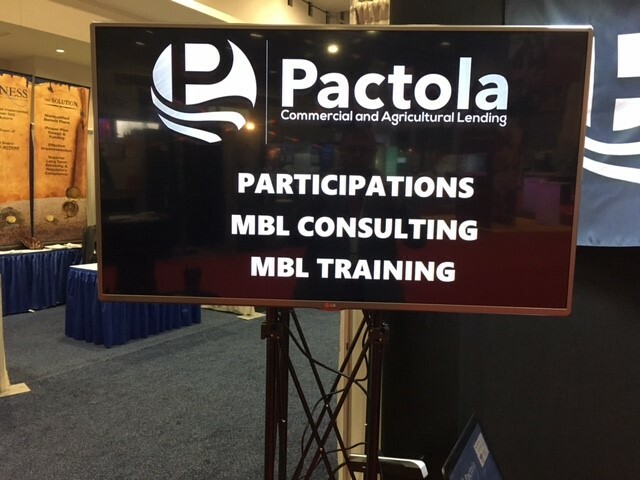 We are also holding our MBL Bootcamp on March 20-21 in Sioux Falls, South Dakota. This is a great opportunity for those just getting involved with commercial lending, support staff, and those who need training on the basics, to learn from our wonderful team. We look forward to seeing you there. Please contact us for more information and also for registration.